The Indian skies have turned into a boxing ring. The match is fierce: no punches are spared, and the support staff alleges foul play frequently. The pugilists are rippling with muscle. In its trademark red is AirAsia; and in elegant blue, IndiGo. The first is a global phenomenon; the second is the undisputed leader in India. At the break, the boxer in red removes his headgear and a chiselled face with bright eyes and sleek black hair is uncovered — a face made for selfies. 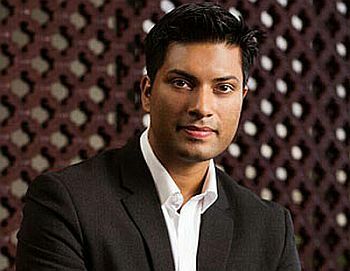 This is Mittu Chandilya, 34, the CEO of AirAsia India, owner of the Bangalore franchise of Vijay Amritraj’s Champions Tennis League India, close friend of Bollywood hunk John Abraham and father of three boys. So far, the blows have been evenly matched. Days after AirAsia announced Bangalore would be its hub, IndiGo ramped up its operations from the city. When the Bangalore airport announced that it will charge lower parking fees to those who make it a hub, others erupted in protest and took the matter to the courts. When AirAsia launched a service from Bangalore to Jaipur, IndiGo had its flight on the route ready. Thanks to rivals operating several new flights, AirAsia’s Bangalore-Chennai service is carrying loads that are well below projections. In Bangalore, the prime slots in the morning and evening have been bagged by IndiGo, leaving early morning and afternoon slots for AirAsia, which do not suit corporate travellers (they make up over two-thirds of all air travel in the country). Not one to back out from a fight, Chandilya has decided to strike IndiGo at its home base: Delhi. He was negotiating with the Delhi airport to book six to eight slots in the T3 terminal, and has currently been allotted three. Purists may say a cost-conscious budget carrier like AirAsia has no business to be seen at T3 because, unlike the 1D terminal used by other budget carriers, it is not close to the city. But that Chandilya is willing to go further shows his resolve to take the fight to the enemy camp. “I want to be number one on every route I fly,” Chandilya says while sitting in the lounge in Delhi’s Maurya Sheraton Hotel without a trace of self-doubt. “I am not in awe of anyone. This is the advantage of being young.” This trait of wading into uncharted waters was instilled into Chandilya at a young age. His engineer father and model mother saw to it that he sampled various career options before starting out. The lad from Rishi Valley School in Andhra Pradesh (Varun Gandhi was his senior by a year) even took ballet lessons but left to study in the United States where he also got a tennis scholarship at the age of 16. While studying at Lehigh University, Pennsylvania, Chandilya would take up modelling assignments for pocket money and the free clothes that came with the job. But he refused a role in a television crime serial which went on to become a worldwide hit: Crime Scene Investigation, or CSI. While at Lehigh, Chandilya and his friends received a grant of $500,000 with which they built a gadget that fixed a nagging problem in cola dispensers. Those who operated the dispensers never knew when the syrup inside would run out unless they opened the machine. Chandilya and friends built a gadget that gave out a beep when the levels went low. They hawked the machine for a cool profit to none other than Coca-Cola. Chandilya used the money to help pay his fees. Running AirAsia successfully — and profitably — is a far bigger challenge. The aviation sector is mired in losses: $1.7 billion in 2013, which could marginally improve to $1.3-1.4 billion in 2014, according to the Centre for Asia-Pacific Aviation. Fare wars are frequent. Jet fuel, which accounts for almost 50 per cent of the operating costs, is heavily taxed. Pilots are in short supply. But it’s a market with a huge upside. Every airline, first and foremost, needs a large fleet to gain critical mass. AirAsia, by the end of the year, will have six aircraft in service (right now, it has two). Chandilya plans to induct 12 to 14 more next year. With these, he hopes to reach one-fifth of IndiGo’s fleet of 100 aircraft within 18 months of starting operations. But IndiGo isn’t sitting idle: it has placed a large order for 250 aircraft with Airbus, apart from the 180 it had ordered in 2011, which will arrive in batches till 2025. IndiGo President Aditya Ghosh told Business Standard that the new capacity will be deployed locally. Chandilya needs to factor this into his strategy – it’s not going to be a cakewalk for him. One easy option for a newcomer is to book losses and gain market share. Chandilya knows it is a lost cause: as everyone matches the price in a few days, if not in hours, and it’s not easy for a discount-driven brand to come out of the cesspool. 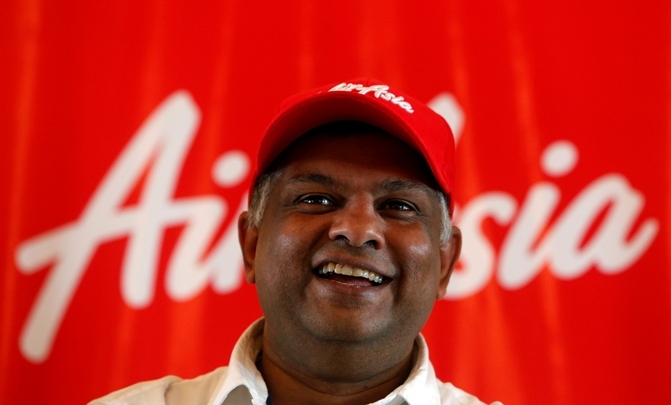 To ensure that AirAsia doesn’t go the Kingfisher way, he wants to keep costs on a tight leash. Thus, he has told his executives that they should make presentations on the computer alone and no prints are required because a coloured print costs Rs 5 and a black-and-white one Rs 1. He has negotiated hard with vendors to bring down the cost of the paper cup used in the flights by 30 paisa. Chandilya’s efficiency benchmarks are stringent. He wants to have 80 people for every aircraft — IndiGo is at slightly below 100. His staff readies an aircraft for its next flight in 25 minutes, which is better than the industry best practice of 30 minutes. His aircraft are in service for up to 13 hours a day, which is in line with the Indian low-cost-carrier average of 12 hours. He now wants to introduce night flights which will improve aircraft utilisation further by two to three hours, giving him that added edge. Unlike rivals, Chandilya is happy to earn profit margins of 2-3 per cent. It is still early to say if this has brought about a paradigm shift in the industry, but some impact is visible: IndiGo’s net profit margin shrunk from 8.3 per cent in 2012-13 to 2.85 per cent in 2013-14. To encourage out-of-the-box thinking in the organisation, Chandilya has unconventionally recruited people from hotels, banks and retail stores. 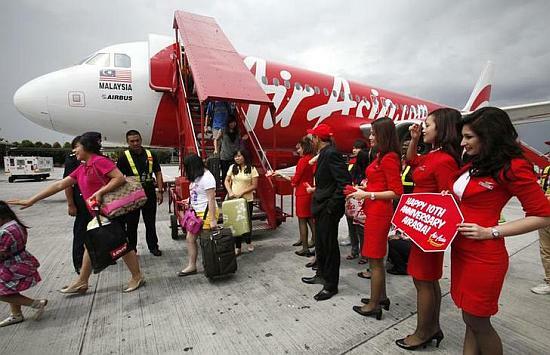 Almost 70 per cent of the AirAsia staff is from outside the aviation sector. He has recruited as cabin crew people who weren’t even comfortable wearing formal shoes because he liked their attitude — everything else can be taught. And instead of people at the top, he likes to poach people from the second and even third rungs of leadership because of their greater appetite for growth and risk. Chandilya has set high service benchmarks for his people. Thus, all online complaints are required to be addressed within ten minutes, while refunds must be made within 48 hours. 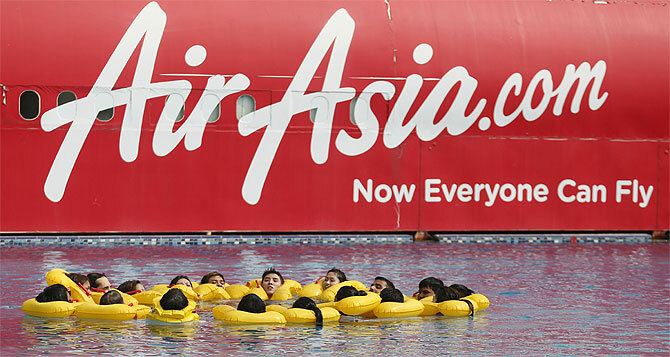 Rivals insist that AirAsia’s Indian operations are actually being run by Tony Fernandes, the Indian-born maverick and voluble owner of AirAsia, and Chandilya is just the pretty public face. Chandilya insists he is fully empowered to make quick decisions — strategic, financial or operational. The buck stops with him. He connects with Chairman S Ramadorai, the former chief executive of Tata Consultancy Services, once a day and with Fernandes once a month. His detractors even call him a Page-3 person — more of a social bird than a serious business executive. “I love meeting people,” says Chandilya, “But I stay away from parties.” That is modesty. 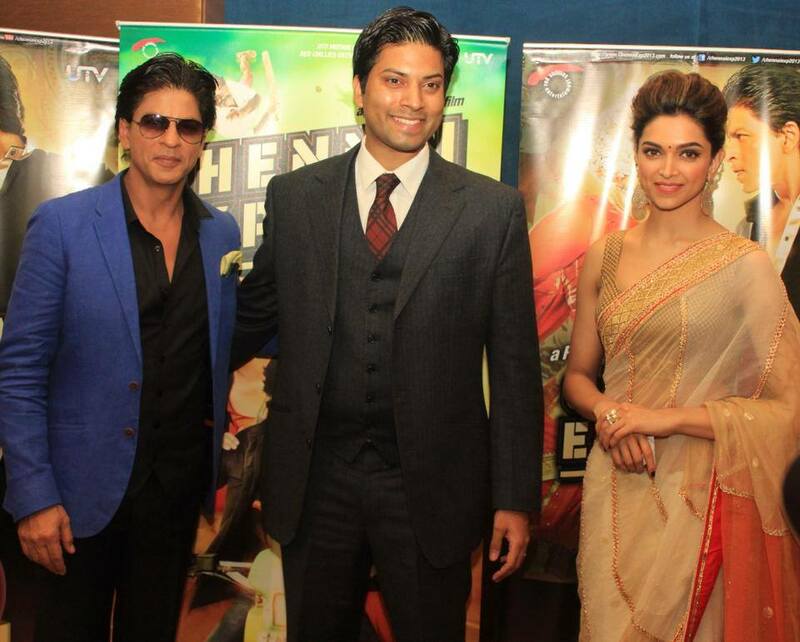 Chandilya is often seen in the company of beautiful people. Amongst his social acquaintances is Mahendra Singh Dhoni, the captain of the Indian cricket team. And Chandilya is a charmer. “What struck me about Chandilya was not just his calm confidence, but the ease with which he wears his many hats: CEO, entrepreneur, sportsman and family man,” says Amritraj. “He is a great guy, very suave and very stylish, as is his wife," Bangalore-based designer Manoviraj Khosla says about Chandilya. Khosla has known the young CEO since he shifted to Bangalore and says the fact that he used to model is still seen in the way he carries himself. This schmoozing emboldens his detractors to say that he is an outsider to aviation and has little experience of running complex operations. A headhunter, at the time of Chandilya’s appointment in May last year, had quipped: “Maybe Fernandes knows something about the guy we don’t know.” Chandilya says that he had had sizeable exposure to operations as well as aviation. At 25, he became one of the youngest general managers at Ingersoll-Rand. In the mergers & acquisitions division, he was involved in four takeovers. He was given the tough task of closing a factory in Colorado and shifting it to Mexico. This required him to take several tough decisions and negotiate with the labour unions. He helped the company set up ground power units for aircraft, which gave him some insights into the aviation business. Finally, Ingersoll-Rand stationed him in China with responsibility over 14 countries. Chandilya says the constant travel was too much as he wanted to spend time with his family and children. He left Ingersoll-Rand to join executive search firm Egon Zehnder. He was the head of the aviation and hospitality practice, and this required him to work closely with airlines like Singapore Airlines. “I have given strategic advice to the boards of airlines as well as their CEOs,” says he. This was good enough for Fernandes to hire Chandilya to lead his India business. But does Chandilya have it in him to deliver a knockout punch to IndiGo? 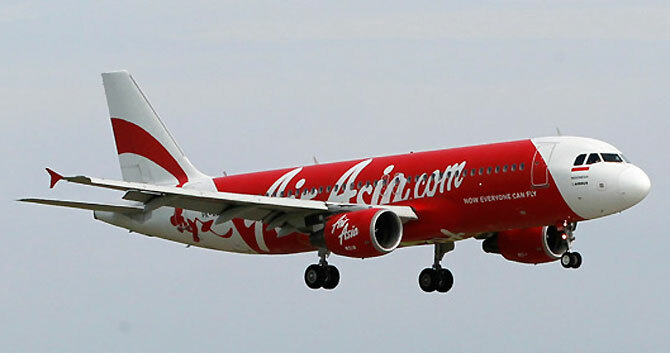 AirAsia’s market share of 0.7 per cent is well short of IndiGo’s 32.1 per cent. So the journey ahead for Chandilya is nothing but uphill. Choose the road not taken. Be the change and rebel against status quo. Live life in high octane and make each day count — dream big and make it happen, no regrets and never settle! Workout regime Always first thing in the morning — mix cardio, weight training and floor exercises. The Economic Times and The Times of India. CNN, BBC, NDTV, Discovery, National Geographic and HBO Favourite city A few really: San Diego, Bangalore, New York, Singapore, Toronto and Chennai (all for different reasons). Local corner coffee houses which make for some of life's most unexpected conversations and acquaintances. Ones where I can get away with the family and spend time with just them. Been a while, honestly. Never leave home without My iPhone and wedding ring. Three of them: being in the room to welcome my three sons into the world. All moments have been a good source for learning. Best learning was as an entrepreneur when I came up with a concept and modelled it, only to have it taken and used by a potential investor that I pitched it to. FinMin's new A-team to unveil a big bang Budget?